Woocommerce does not come with a method to export orders. And to fix that we are going to install a free plugin called "Advanced Order Export". So, the first step is to install that plugin on your Wordpress site. And to do that you need to open your Wordpress dashboard and click on "Plugins". Next, click on "Add New". Then, add the name of the plugin in the search input field and click "Enter". After that, click on "Install" and wait for it to finish installing. What is left now, is to export your orders. So, click on "Woocommerce". 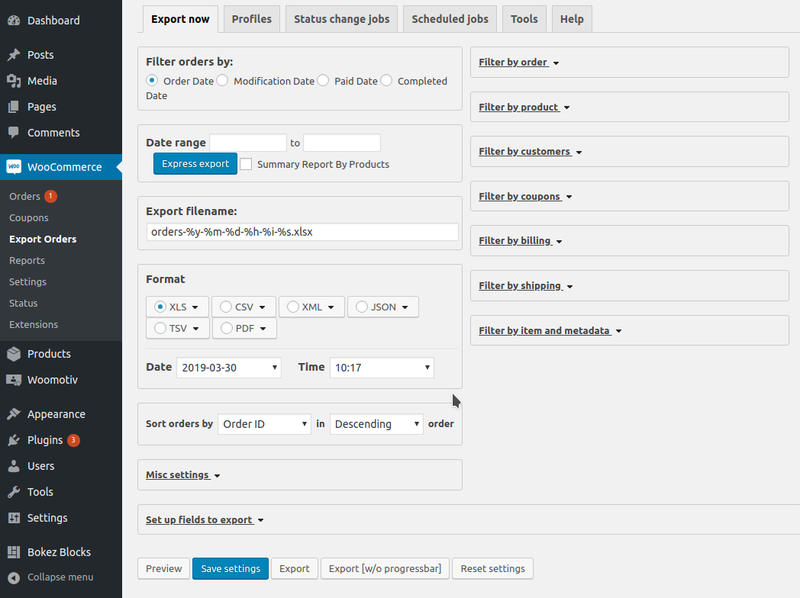 Then, click on the new menu item "Export Orders". Which, will open the plugin export page. In this page, you will find a lot of settings. But in this tutorial, we are going to focus only on the file format setting. Which, is the format of the exported file. So, select the format you want from that list and click on the "Export" button at the bottom of the page. Congratulation, you have learned how to export Woocoomerce order.